Our expertise goes beyond the physical kitchen, to ensure your event is a total success. We have specialist and experienced leaders in Event Management inclusive of Logistics, Front of House, and Operations. Phil comes from a restaurant background with 30 years’ experience both front and back of house. Having owned and managed his own restaurants, he is well versed in the food business and managing client expectations. 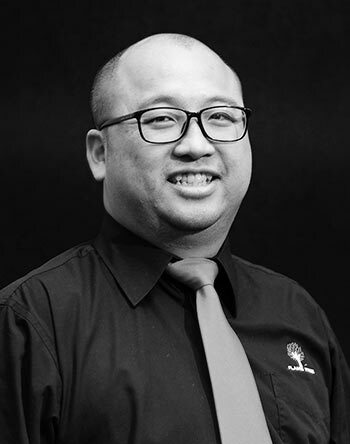 His transition to catering has brought with him a wealth of experience and allows him to focus on client liaison and key-account management. Lawrence comes from an extensive hotel background and restaurants. His experience in managing multiple functions across multiple venues comes in handy at MFE. Lawrence oversees the Front of House operations including staffing and logistics. He has built a strong supervisory team who work closely to deliver every function to the highest standard. Lawrence also is proficient with financials, cost control, budgets and has many ties with suppliers, and clientele. Guillaume has been working for 2 years with MFE in Auckland and he has grown with the company. In January 2018, he joined the Augusta kitchen where he manages the overall Food & Beverage requirements for the school. He came from a strong hospitality background in France and have worked in several 5-Star hotels and also studied Hotel Management and Hospitality in New Zealand.